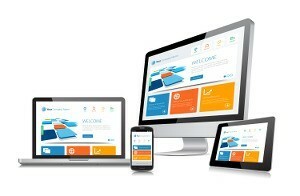 A responsive website design enhances a user’s experience with your website by making things fit their device. This better accommodates the growing number of device types that people may use in order to access your website or blog. This potentially includes full size PC’s, mini PC’s, tablets, and mobile phones. If you have a responsive website design, your website will automatically resize and reposition different components of your website in order to best fit the user’s viewing device. There are both advantages and disadvantages to this, which I’ll discuss below, and then give you my final thoughts on the matter. CONSISTENT USER EXPERIENCE. No matter what type of device someone’s using, your website is going to inherently have a very similar look and feel to it. This is important for branding, and for more subtle psychological reasons of someone feeling “familiar” with your website which is a factor in sales. CONTENT. Your content is readily available to be viewed by any type of device the user may be. What I mean by this is that if you had a separate mobile website, you have to port a bunch of content over to that format. With a mobile responsive design, you don’t have to port anything. ANALYTICS. With only one website, you only have to look in one place to study website performance metrics and it’s easier to interpret. This is contrasted with a separate mobile website where people could come and go from one version to the other, making your analytics much more difficult to interpret. SEO. You don’t have to implement any additional SEO, since you only have one website. This is important since SEO is not on an entire website; it only affects one single page of your website. 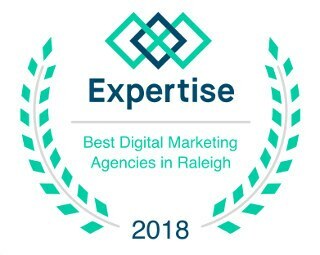 Thus if you implement a separate mobile version, then when users are searching on their phones, you’ll need a separate SEO campaign to help rank your mobile version so they find you. COST. You’re only paying to develop, and to maintain, a single website. GOOGLE LIKES IT. At the end of the day, your business is there to make money, and that means you want to show up high in the search results. You’ll have a better online rating if you do what Google recommends, and this is it. RESIZING. As the size and resolution of devices changes, it will become more difficult for responsive website designs to correctly deliver the best format. It’s not too much of an issue right now, however, and I think our coders will rise to challenge of providing algorithms to address this. LESS FOCUS. Some people believe that when a person is on their mobile phone, they aren’t wanting to read all your articles. Rather, they are just looking for a few key bits of information to decide if you’re the right company to help them. A responsive design is going to present them with all your same information. You might have reasons, however, to tailor what mobile viewers see and what they don’t. OPPORTUNITY LOSS. With a specialized mobile version, there are also some very specialized application integrations with third-party providers that can make your mobile website function much like an “app”. You won’t have this with a responsive website design, at least not and have the same “app-like” experience. Examples might include things like online menu’s and pickup ordering for a restaurant. If you didn’t guess my thoughts on the subject, I recommend most users to get a mobile responsive website. It’s going to save you money in the long run versus having a separate mobile site.